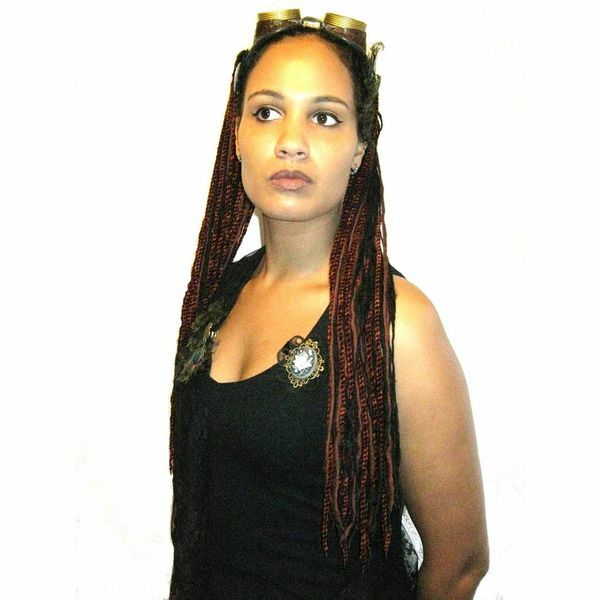 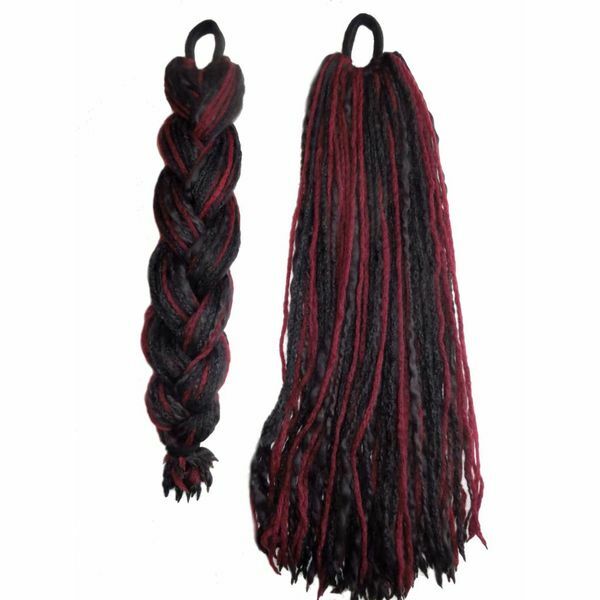 Super lightweight dread falls are made of special high quality yarns, look very realistic and are perfect for various stylings like a dreadlocks bun/ topknot and braid. 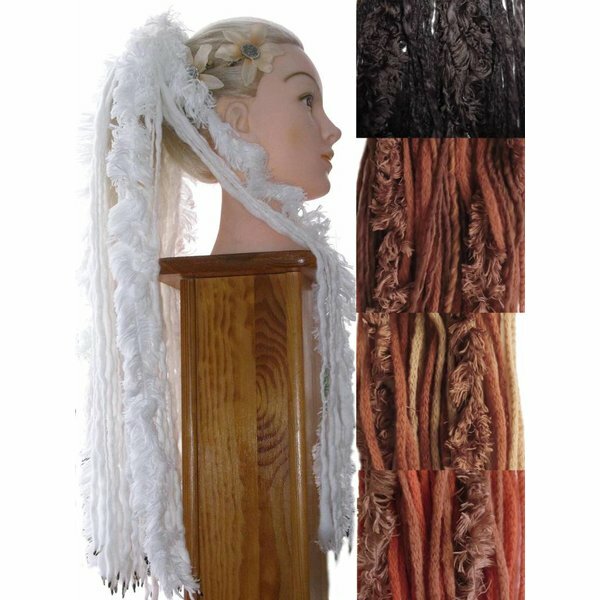 Carefree hair extensions for many occasions! 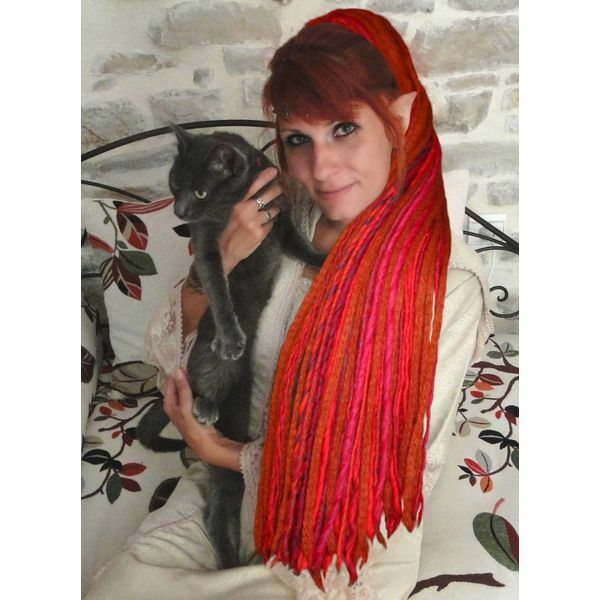 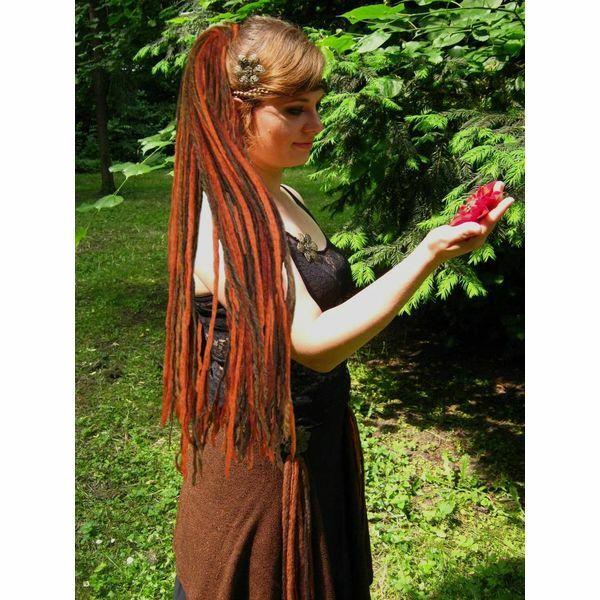 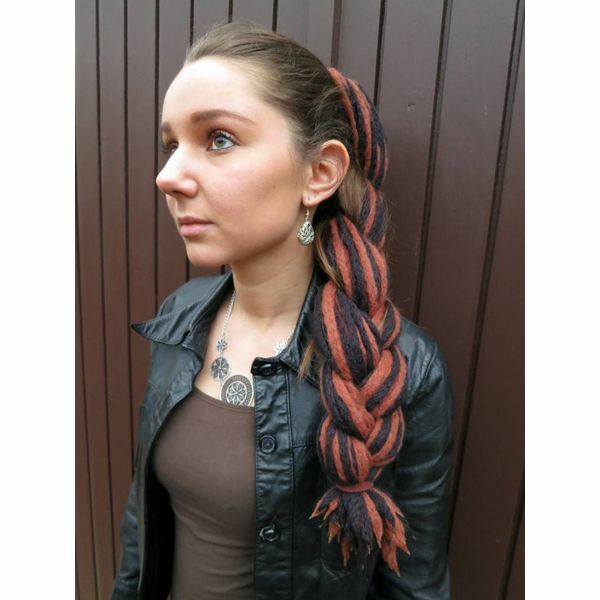 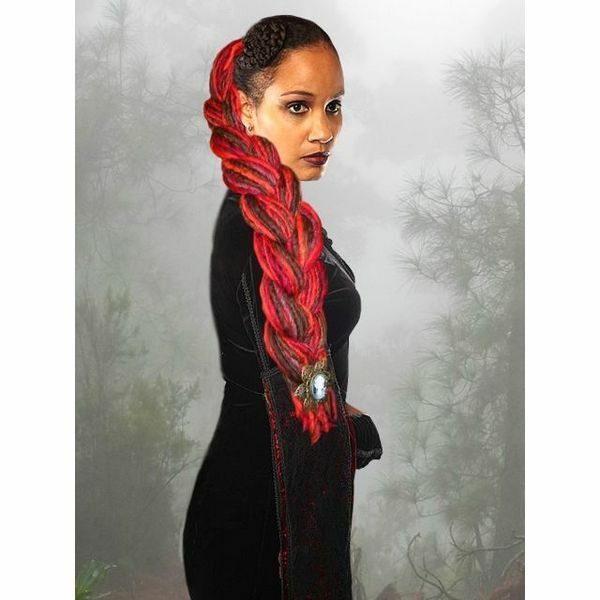 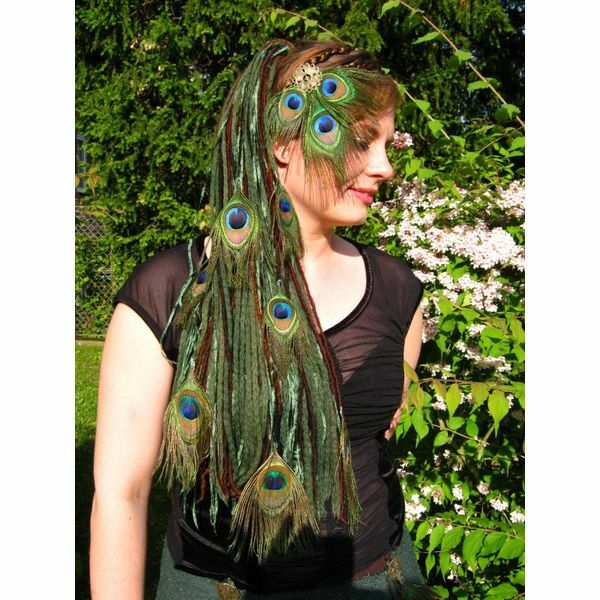 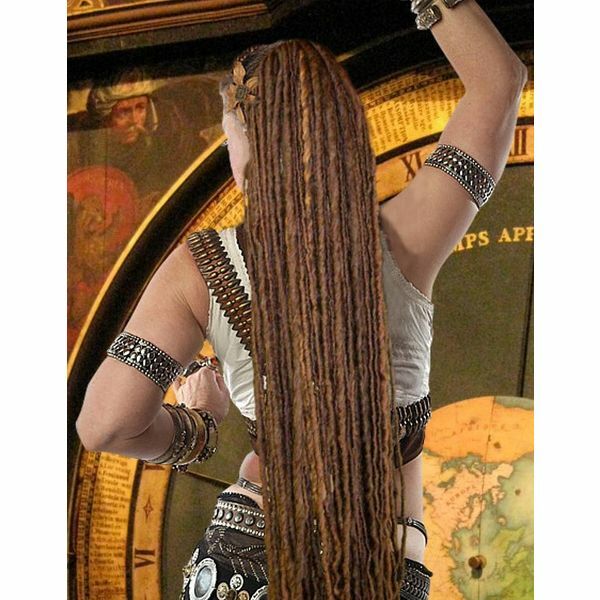 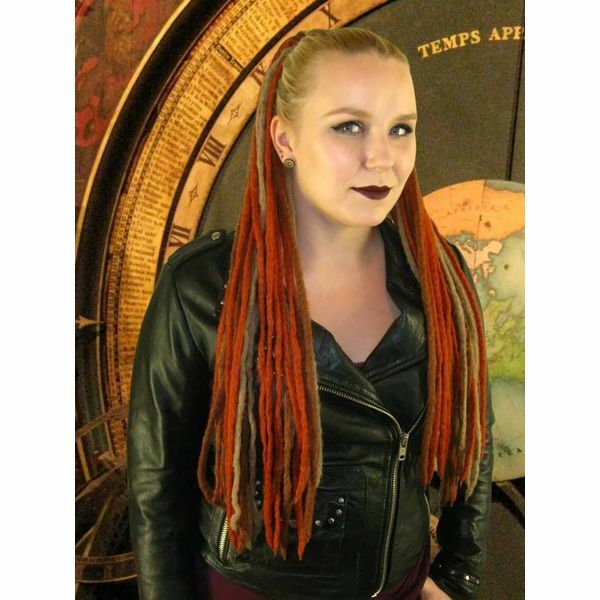 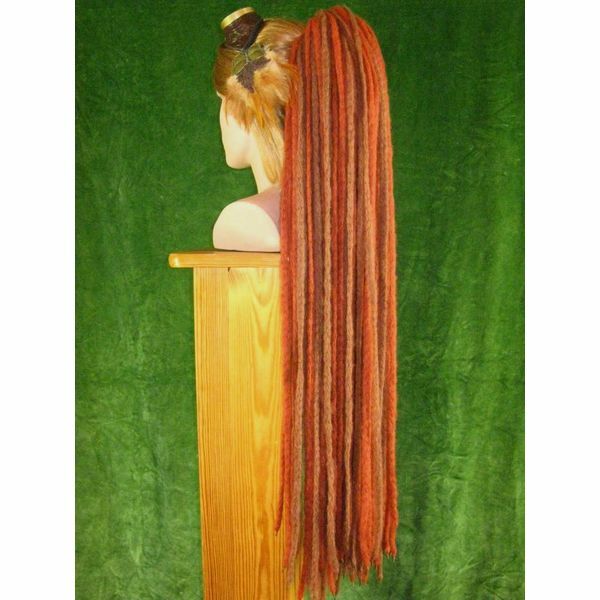 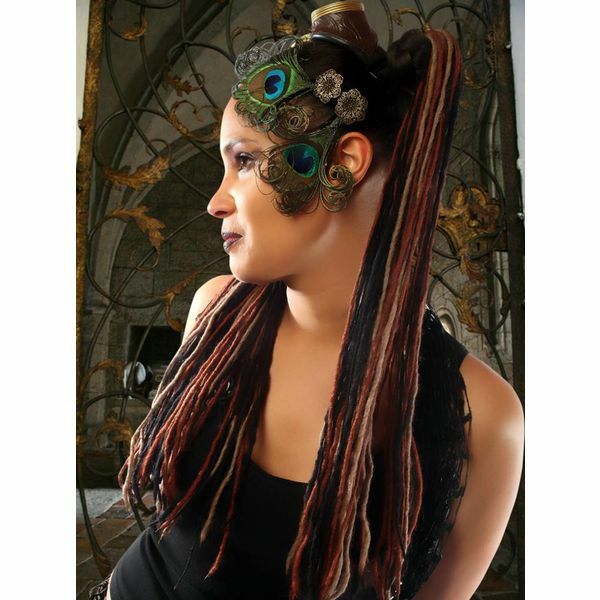 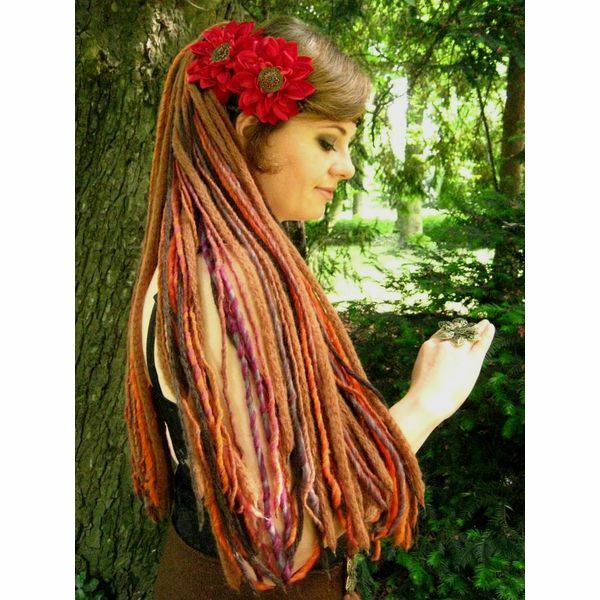 Dread falls by Magic Tribal Hair are made of special super lightweight high quality yarns. 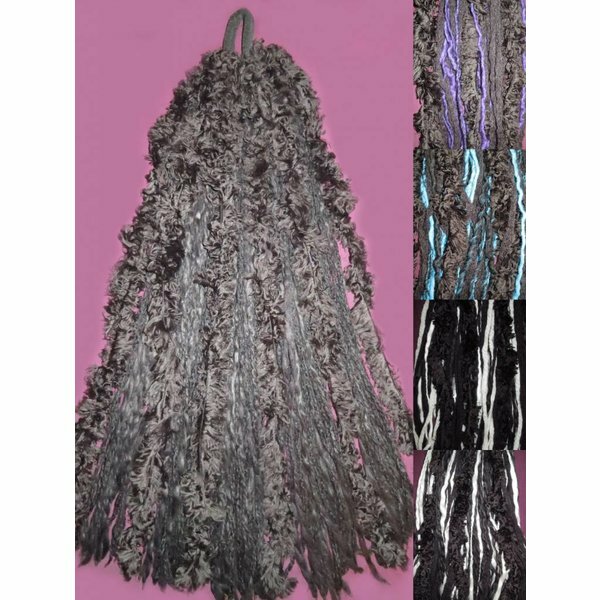 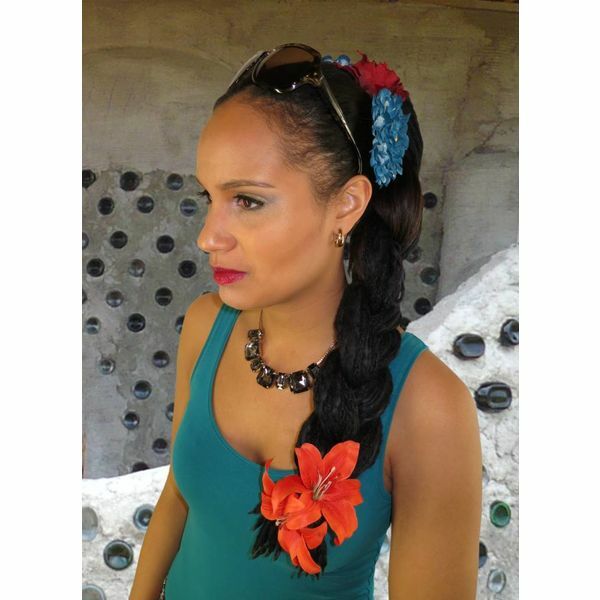 Use them for updos, lush dreads braids and huge buns, too, they are extremely easy to handle and style and very carefree! 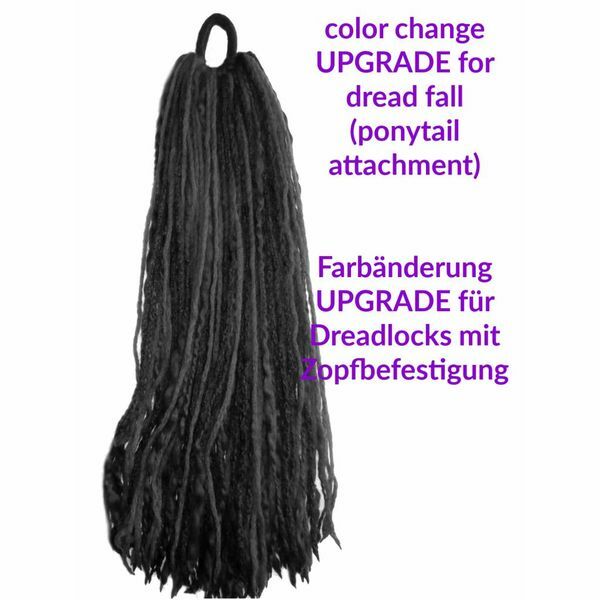 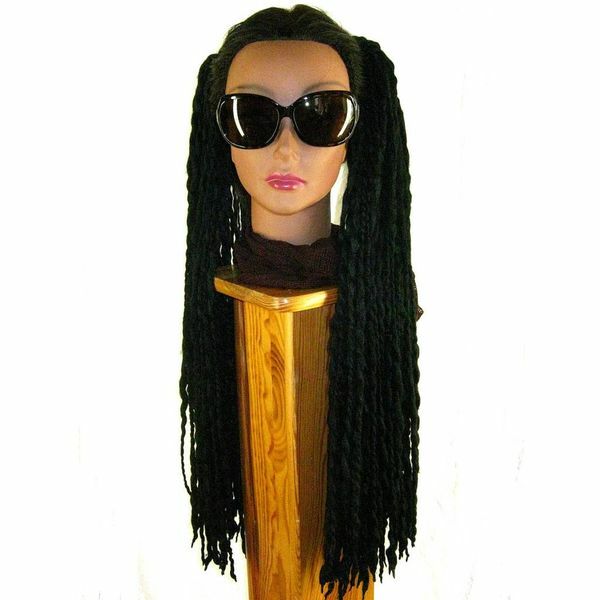 The dreadlock stylings below are all made of a single size L 60 cm/ 24 inches long dreads hair fall, but there are other sizes and lengths up to 90 cm/ 36 inches available, too. 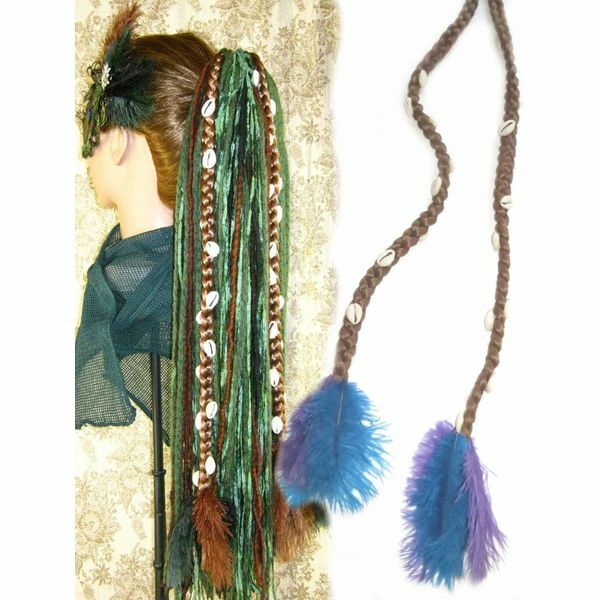 Especially belly dancers and larpers love wearing costume sets, so especially our colorful dread falls have a matching hip & belt tassel model made of the same dreadlock yarns! 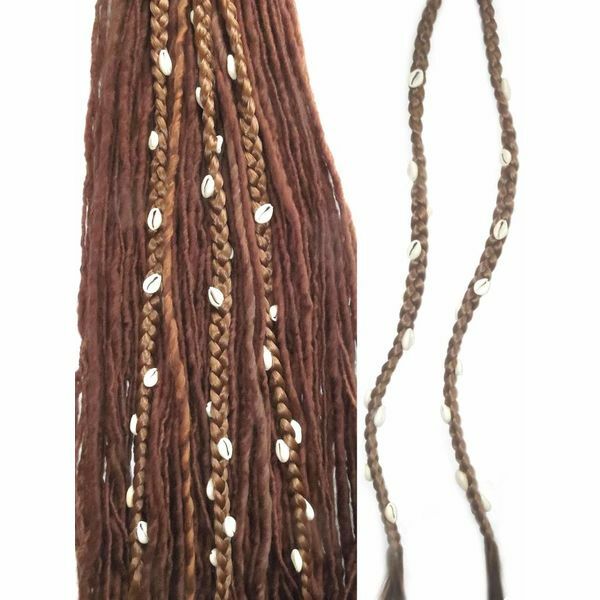 Naturally slightly different tassels can be a great match, too, we show you the best matching models in "related items" at the bottom of the item description of each dread fall.